Like Deming, Dr. Joseph Juran is a charismatic figure of senior age, born is 1904. Juran started out as an engineer in 1924. In 1951 his first Quality Control Handbook was published and led him international eminence. Chapter 1 of the book was titled The Economics of Quality and contained his now famous analogy to the costs of quality : 'there is gold in the mine'. Optimize the product features so as to meet our needs and customers needs. Prove that the process can produce the product under operating conditions. 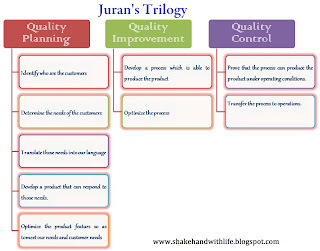 Juran concentrates not just on the end customer, but identifies other external and internal customers. His concept of quality is that everyone in the organization must also consider the 'fitness for use' of the interim product at each stage of production/operation flow. He illustrates this idea about internal customers via the Quality Spiral. 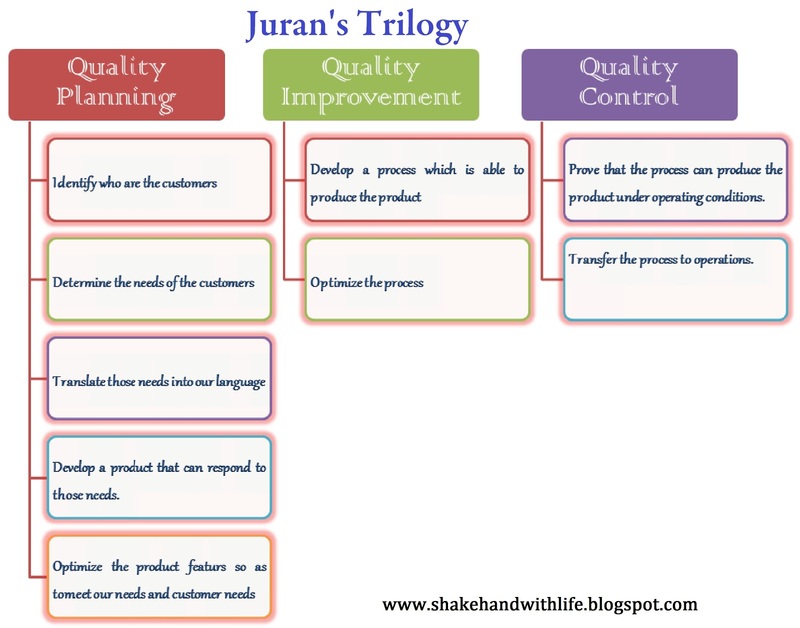 Juran's work emphasis the need for specialist knowledge and tools for successful conduct of the quality function. He emphasis the need for continuous awareness of the customer in all functions.